The April theme is wholeness. Welcome to spring and to our monthly theme of WHOLENESS. I believe Guy Finley is correct in that what we seek in our search for wholeness already lives inside us. The answers we look for with a gaze fixed upon things outside ourselves can certainly bring us knowledge or even wisdom, but there is a certain wholeness that can only be experienced when we are in touch with our deepest selves — from the core of who we are. 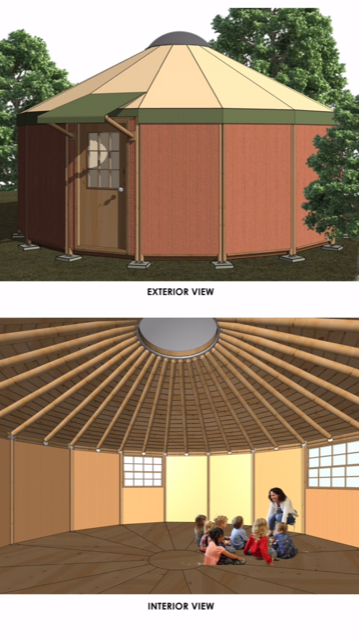 Creating New Spaces: Meet the Yurt! The other choices were homelessness, literacy education, food security, LGBTQIA+ issues, and personal/interpersonal violence. You’ve completed the survey. Now what? Please plan to attend a service on April 28th, Social Justice Sunday. On that day, I will mix my sociology and ministry hats to offer a sermon on the intersectionality of these critical issues. Following the service, the Social Justice Team invites you to a Listening Session, followed by a potluck at the University Gathering and a film showing at the Salisbury Gathering. On April 10th, Moms Demand Action and Students Demand Action volunteers from all over the state will converge in Raleigh at the General Assembly, advocating for stronger gun safety laws, with our focus on the newly proposed Extreme Risk Protection Order bill and ensuring that NC Senate Bill 192 does not allow our teachers to be armed in the classroom. WE NEED YOU TO COME! We strongly encourage carpooling, for those outside the Triangle. You do not need to be present for the entire day, but if possible, please be available for the afternoon portion, beginning at 12pm at the General Assembly. We also have free housing options, if needed! Starting at 9am, we will welcome folks at the Church of the Good Shepard, located within walking distance from the General Assembly, where we’ll hear from speakers from our Survivor Network, Students Demand Action, and Moms Demand Action volunteers, as well as from Representatives Clark and Morey, co-sponsors of HB86. In addition to having opportunities to view the survivor quilt, and write legislative Thank You notes, volunteers will be offered training on speaking with State Legislators directly from our Everytown State Legislative Affairs Team. Midday, we will have an enormous group volunteer photo in front of the assembly and then the fun begins: scheduled meetings with elected officials! Finally, at 2pm we’ll be welcomed into the House Gallery, where Moms and Students Demand Action volunteers will be acknowledged from the floor. While lunch will be on your own, there will be plenty of guidance provided throughout the day. Please wear your Moms or Students RED shirt. If you do not have one, we will have some for you! Finally, while we really do want to see you in Raleigh, if you cannot make it, please consider writing a letter of support. Please let me know if you have any questions, at all. Levine Museum of the New South Field Trip - Join us on April 20th for a trip to Levine to hear historian, Dr. Will Griffin, offer a lecture related to issues of racism and Civil Rights in the south. The speaker is reserved for our group, and his presentation also includes the price of regular admission. For only $10, you'll be able to tour the museum as well as hear the presentation by the historian. Please RSVP to adore@puuc.org early for planning purposes. Dr. Willie Griffin is a civil rights scholar, educator and Charlotte native. recently served as Assistant Professor of African American History at The Citadel. He holds a doctorate in U.S. history from University of North Carolina at Chapel Hill, where he produced a groundbreaking biography of Trezzvant W. Anderson, an unsung Charlotte native, journalist and remarkable national civil rights figure. Griffin also holds master’s and bachelor’s degrees in history and African American studies from Morgan State University and Morehouse College respectively. 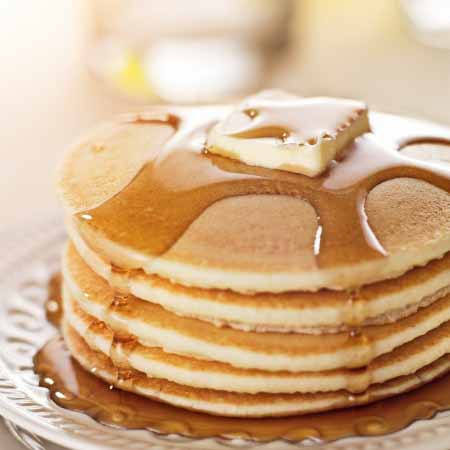 Wednesday, April 24th, 5:30-6:30 p.m.
Join us for food and fellowship at the next Pancake Dinner. For questions about dietary restrictions, email Ali at all.star@mac.com . Come at 5:30 for pancakes, and stay for this information session led by our minister. RSVP to membership@puuc.org. If you are a newer member who has not participated in a new member service, please RSVP to membership@puuc.org to be a part of this special day, to sign our membership book, and to receive a token of our appreciation for your presence. Please join us at 11am on April 28, following the service at University Gathering for an hour on gun violence prevention by Charlotte Group Moms Demand Action for Gun Sense leaders Shannon Scruggs and Grace McClain. Shannon and Grace will explain how we can all "Be SMART" in our homes and communities, and let us know what's being done right now in North Carolina to prevent gun violence and make us all safer. Moms Demand Action for Gun Sense in America is a grassroots movement of Americans fighting for public safety measures that can protect people from gun violence. Moms Demand Action campaigns for new and stronger solutions to lax gun laws and loopholes that jeopardize the safety of our families. Moms Demand Action has established a chapter in every state of the country and, along with Mayors Against Illegal Guns, Students Demand Action and the Everytown Survivor Network, it is part of Everytown for Gun Safety, the largest gun violence prevention organization in the country with almost 6 million supporters. For more information, you may also contact Teresa Rowell. The board is planning a leadership retreat on Saturday, April 13, from 10 a.m. to 3 p.m., to which 33 church leaders of teams and committees, as well as members of the board, have been invited. The Meditation/Memorial Garden Committee reported on progress with developing policies for the garden and preparing a brochure. 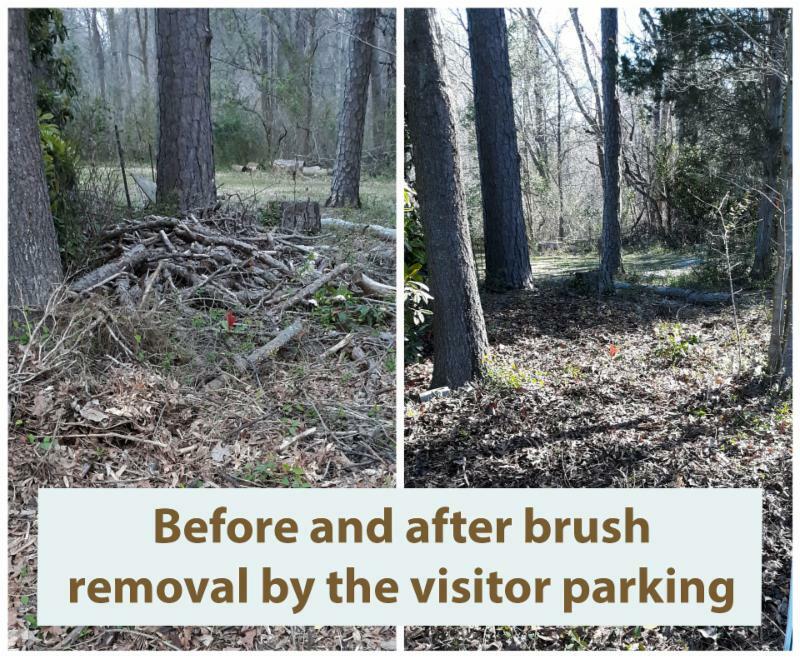 Michael Demby, Building and Grounds Team Leader, and other members who worked on building and grounds improvements on March 9. They also thanked the PPP parents who helped on that day. Vivian Lord, Social Justice Team Leader, and all members who have assisted with the Immigrant Project. Lucy Neel, for her work in establishing a Fellowship Team for Sunday morning refreshments after the service. Board of Trustee members Becky Schisler, Glen McLaughin, Sam Treadaway, Anne Laukaitis, Lou Gardiner-Parks, Lynne Godfrey and Merry Overholser. Becky Schisler for her work on planning the leadership retreat. We have had two planning sessions and have secured a retreat location offsite. Lou Gardiner-Parks for his excellent work in his new role as Treasurer on the Board of Trustees. Lou Gardiner-Parks and Anne Laukaitis for their work in honoring Margaret Edwards in the form of a dedication and plaque. Teresa Rowell for sharing from her leadership in Moms Demand Action and for securing a speaker to share with us around issues of gun violence and safety. Elaine Deck for helping lead a service in Salisbury and to Alan Davis and Teresa Rowell and Erik Hake for volunteering to assist once per month with music in Salisbury. Michael Demby for his leadership in Building and Grounds. Elaine Slaton for her outstanding work around policies. 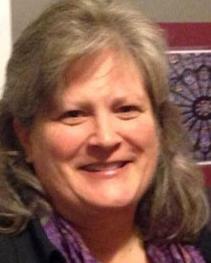 Karen Dutton for her attention to detail and work on researching sustainable candle options for our services. Vivian Lord for the follow-up work after our social justice survey and for arranging a guest to share more information with us on March 31st. Deb and Ali for their dedicated service. Our interview team as we seek to fill the position of Music Director in the near future. The entire Meditation/Memorial Garden Committee for their ongoing work. Lucy Neel for her coffee scheduling and fellowship planning. We cherish diversity. So much so, that it is espoused and celebrated in our church's mission statement. As we explore the theological theme of wholeness in April, how can one church serve all the varied needs while intentionally casing a pretty wide net when it comes to its congregants? But first, assisted by Siri and Alexa, we must map out our own personal spiritual journeys. The idea of being whole suggests completeness or perfection but what if that isn't the case? Wendell Berry writes "We . . . come again to the paradox that one can become whole only by the responsible acceptance of ones partiality". Let's us explore this paradox to see what wisdom it might hold for us. “For the Good of Humanity"
We welcome Shakeisha Holton Gray who will share her experiences from the Humanist Collaboratory 2019 and talk about what it means to see humanism in action. Today is Easter Sunday, and it is also our annual ritual of Flower Communion during which time we celebrate new life, beauty, diversity, and community. Bring a flower or flowers today for our ritual of sharing and celebration. Today we consider what makes us whole and what hurdles prevent many individuals from experiencing a full and joyful life. Today's focus is on the intersectionality around issues of social justice. Following today's service, the Social Justice Team invites you to a Listening Session followed by a potluck. Today we consider what makes us whole and what hurdles prevent many individuals from experiencing a full and joyful life. Today's focus is on the intersectionality around issues of social justice. Following the service, members of the Social Justice Team invite you to a Listening and Planning Session.